Whether it creeps up on you or you have forewarning, menopause is a fact of life. Two of the most common complaints about menopause are hot flashes and night sweats. 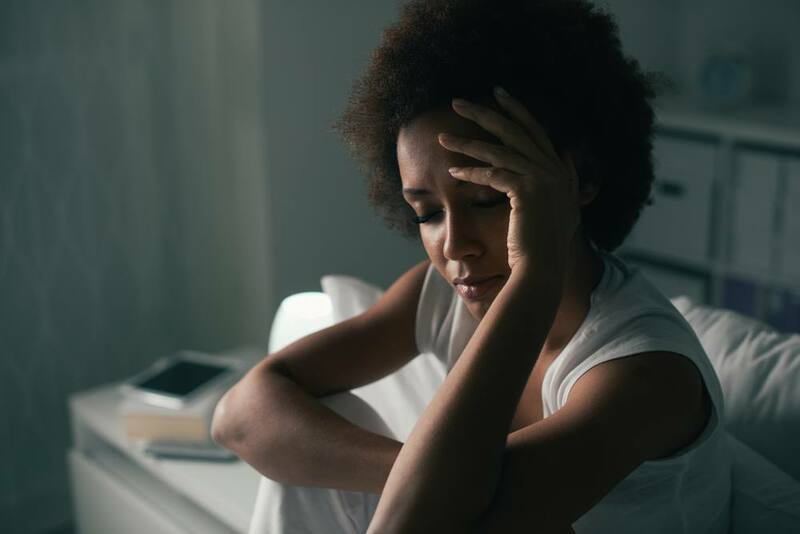 This uncomfortable symptom affects approximately three-quarters of all women in perimenopause (the time before actual menopause). Once a woman has reached menopause, she may continue to have hot flashes for 6 months to 5 years, and in some women, they may linger for 10 years or even longer, according to the North American Menopause Society (NAMS). Hot flashes often come on suddenly, but how long any single hot flash lasts will vary. Some hot flashes pass after a few seconds, while a long hot flash may go on for more than 10 minutes. On average, hot flashes last about four minutes. The frequency of hot flashes also varies. Some women experience a few hot flashes per week, while others may have several an hour. Depending where you are in perimenopause, that can change. There are a range of treatments and lifestyle changes that may help lessen the symptoms and frequency of your hot flashes. It’s not exactly clear what causes hot flashes. Multiple studies are attempting to understand them. There is clear evidence that hot flashes result from hormonal changes in the body. Their connection to other health problems, such as diabetes, is also being studied. Obesity and metabolic syndrome are thought to increase the incidence of hot flashes. Some women barely notice hot flashes or consider them a minor annoyance. For others, the intensity may affect their quality of life in a rather negative way. You may be able to reduce the frequency of your hot flashes if you figure out your triggers, and avoid them. Although this won’t prevent hot flashes completely, you may notice that you experience symptoms less often. No treatment is guaranteed to prevent hot flashes, but there are options that may help you manage your symptoms. The goal of treatment is usually to lessen the severity and frequency of your hot flashes. You can consider lifestyle changes, hormone replacement therapy, prescription medications, or alternative therapies. Talking to your doctor can help you decide on the best approach to help prevent your hot flashes. Many women are turning to natural products to help with managing hot flashes and night sweats. If you take natural products or supplements, it’s important that you mention this to your doctor and pharmacist whenever you discuss your health and medications. Some products can interfere with over-the-counter and prescription medications. Black cohosh (Actaea racemosa, Cimicifuga racemosa). Do not take this if you have a liver disorder. Red clover (Trifolium pratense). This herb could increase the chance of bleeding. Dong quai (Angelica sinensis). This herb interacts with the blood thinner warfarin (Coumadin). Evening primrose oil (Oenothera biennis). This essential oil may affect blood thinners and some psychiatric medications. Soy. This supplement can cause mild stomachaches, constipation, and diarrhea. Women with a history of estrogen related cancer in their family may not want to take in soy. Check with your doctor before taking any of these products. Herbs can interfere with medications and aggravate disorders, beyond what is listed here. Herbal products are not monitored for quality and purity by the FDA. The popularity of hormone replacement therapy (HRT) has waxed and waned over the years. Treatment with synthetic hormones may be an option for some women whose hot flashes are debilitating and greatly affect the quality of their life. Estrogen supplements level out the amount of estrogen in your system, reducing the incidence and severity of hot flashes and night sweats. Estrogen is usually taken with progestin to reduce the risk of developing endometrial cancer. It can be taken by pill, through a vaginal cream or gel, or a patch. A physician can help you make decisions is you are a candidate for HRT. Many women will not be able to take hormones or bio-identical hormone and your doctor will take a full medical history. Other medications have been found to help women whose hot flashes and night sweats are difficult to manage. While they weren’t developed directly for this purpose, some women find them effective. Work with your doctor to choose if these medications might be appropriate for you and your situation. Gabapentin and pregabalin, usually given for nerve-mediated pain or seizures, offer relief for some women. Antidepressants venlafaxine (Effexor), fluoxetine (Prozac), and paroxetine (Paxil) have also been shown to be effective for treatment of hot flashes. Acupuncture may be helpful, without the side effects of medication. One study published in 2011 found that women who had acupuncture had significantly fewer menopausal symptoms, including hot flashes, than those who had sham treatments. Sham acupuncture is shallow needling that doesn’t stimulate a true acupuncture point. It’s a way to test if acupuncture is effective or not. Another study worked with a large sample of women with breast cancer. Treatments for breast cancer often trigger hot flashes. Participants who used acupuncture had less frequency and intensity of hot flashes. Meditation can also be very successful in helping manage stress levels. Stress is a common hot flash trigger for many women. Taking stress management training in your community might lead to numerous other benefits in your health and quality of life. Eat a well-balanced diet and control portion size. Stop smoking, and stay away from secondhand smoke. Just as no two women are alike, neither are the ways their bodies will react to treatment for hot flashes. If one method doesn’t seem to work for you, another might. Talk to your doctor if none of the common hot flash management tools are helping. As hard as it is to imagine while in the midst of your own personal heat wave, this too shall pass.